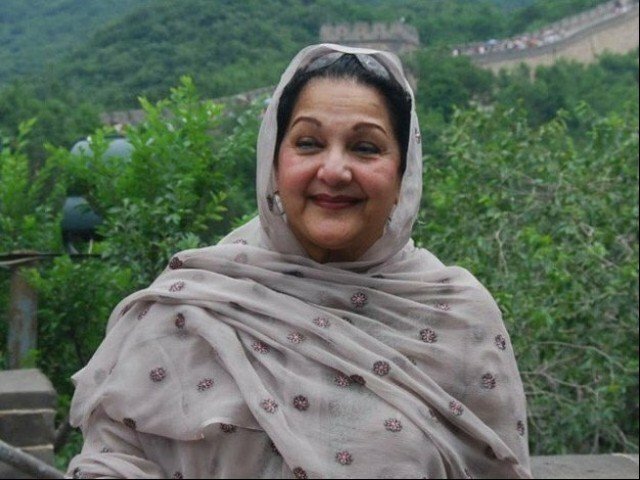 Begum Kulsoom Nawaz, the wife of former prime minister and Pakistan Muslim League-Nawaz (PML-N) supremo Nawaz Sharif, on Tuesday passed away at London's Harley Street Clinic after a drawn out battle with cancer. The news was affirmed by PML-N president Shehbaz Sharif. Kulsoom Nawaz is made due by her husband and four kids, Hassan, Hussain, Maryam and Asma. PML-N Spokesperson Marriyum Aurangzeb told the Associated Press that plans were being made to bring her body back to Pakistan for internment. Begum Kulsoom, 68, had been set in a coma before today as her wellbeing started deteriorating, sources at London's Harley Street Clinic had told GeoNews. Begum Kulsoom was under treatment at London's Harley Street Clinic since June 2017. She was put in a coma the previous evening as her wellbeing disintegrated. "She had been responding admirably without the ventilator until the previous evening," the sources said. Begum Kulsoom was determined to have lymphoma (throat) cancer in August 2017. Further, sources at the Adiala Jail in Rawalpindi said former chief Nawaz Sharif, his daughter, Maryam Nawaz, and son-in-law, Captain (retd) Safdar, had been informed about Begum Kulsoom's passing. Her husband, daughter and son-in-law are right now serving a prison sentence in the Avenfield defilement case. Nawaz Sharif and Maryam Nawaz had traveled to London a few times to inquire about the strength of Kulsoom Nawaz. Family sources enlightened that Begum Kulsoom had inquired regarding Nawaz and Maryam the previous evening yet was not informed about their conviction. Her funeral prayers will be offered at Regent's Park in London today and her body will be taken back to Pakistan subsequent to fulfilling legal obligations on Friday. She will be buried alongside her father-in-law in Jati Umra.